…indeed! A healthy body and mind is the most priceless asset that anyone could have. It’s only when we are unhealthy or unwell that we realize the value of health. Hence, it’s always necessary to prioritize our wellbeing above anything else. The Oxygen is not visible but important for our breath. Similarly, cells are unseen and naked to the eye but an integral and indispensable part of our body. This symbolises how essential it is to nurture the body from the cell-level to achieve an overall better health. And just like good soil can bear good and healthy foods, a healthy cell can perpetuate good health. Dr. Joo of Vicell (Vital Cells) has put his knowledge and wisdom, by researching and developing healthy fermented foods which are vital for the cells, since 1982. They produce various lactic fermented foods including delicious yoghurt, edible fermented pills and fermented red ginseng, etc. Isn’t that healthy? 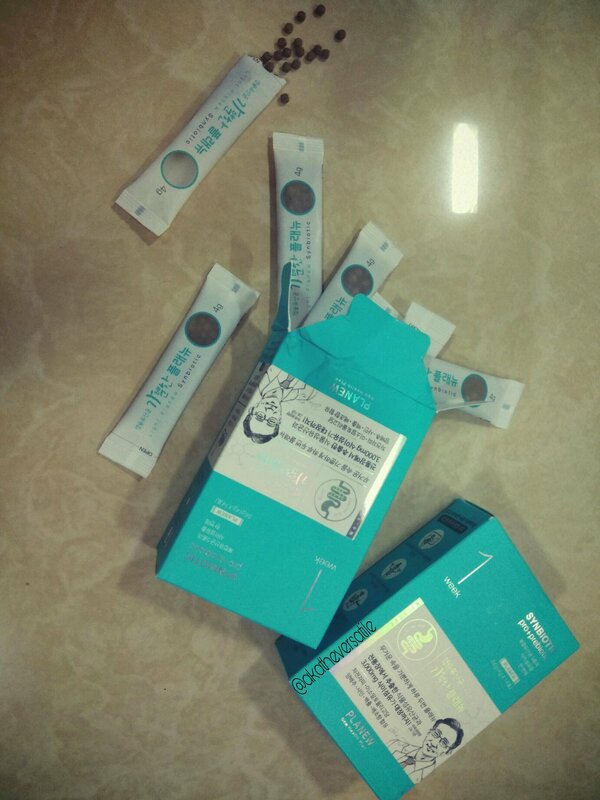 They sent me 4 boxes (a month’s supply) of Vicell Light Planew which are Lactic Fermented Pills for Healthy Gut. 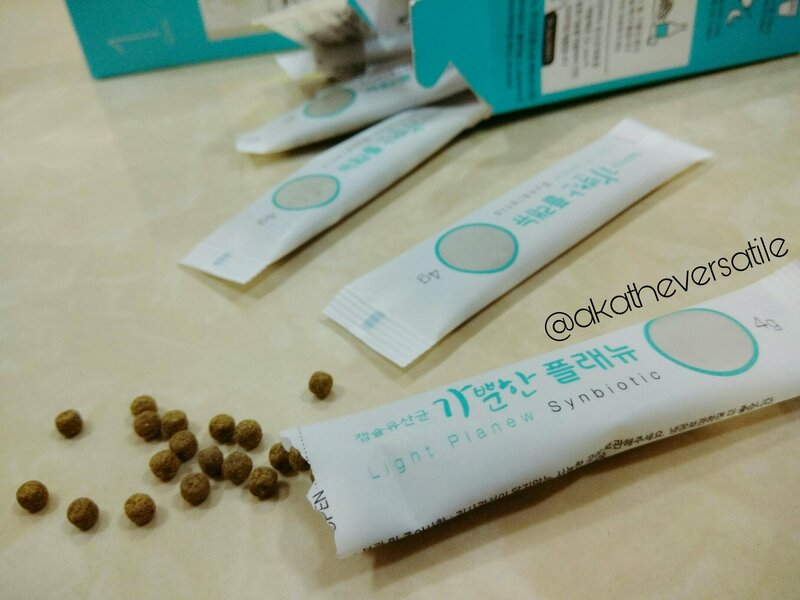 Light Planew is a new bio-technical product that helps one to take the probiotic (Lactobacillus) and prebiotic (feed of Lactobacillus),and fermented materials all at once. This new bio-technical system creates a synergic effect by supplying beneficial bacteria and the growth substances of these bacteria. Planew, when taken constantly for 4 weeks can change the environment of the intestines. We all would agree that the fast-paced life is prone to inactivity, unhealthy lifestyle and stress. These factors are enough to deteriorate our health and be vulnerable to various unknown ailments. With work pressure and social life, we seldom have the time to perform activity or invest into exercise. These result in poor digestion, weight gain, fat storage in our body and the list simply goes on. But these factors and results can now be put to rest with Vicell Planew. Who all can take Planew? How should one consume it? Usually, bloggers also tend to have long sitting hours as we write blogs and edit pictures and reply back to mails. It’s a tedious task and hence, there is a lot of inactivity. Thus, this product is immensely crucial for us to keep our bowel movements on track. The packaging of the product is good and after reading such affirming and convincing ideology of the product, I have started consuming it on a daily basis. Each box has 1 week of sticks, each weighing 4g and as prescribed, it has to be consumed twice a day. The stick has tiny pills and need to be taken with more than a glass of water. I’d be sharing a series of review of Vicell Planew after every other week, describing how the product has worked and helped improved my overall health. Stay tuned with me as I unravel the series, soon! For more details on Vicell Planew, visit their site. Do you believe in the quote I shared above? And how do you find Vicell? Share your views and ideas in the comments section. Sounds great health supplements. I also need something like this . Will research more on this. Thanks for sharing about this valuable information. Wow,that’s a heap of new information for me to digest. But these supplements looks promising,may be I’ll do more research before I purchase. This is interesting. Never heard of such sticks. Waitig for your review. I need to try this! 😀 Thanks for sharing! You have used some smart quote here… indeed a healthy body is an asset! Dietary fibers are really good and healthy happy intestines – who does not want that. looking ahead for more reviews. It sounds like a good health supplements for a healthy intestine.